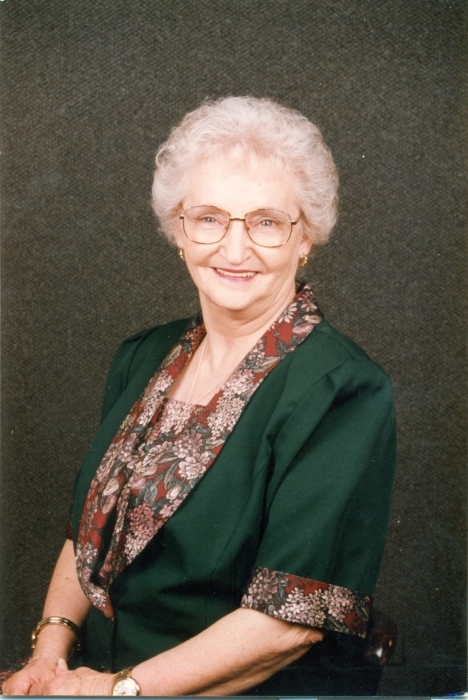 Mary Lou (Wilson) Trowbridge, 85, of Bryan passed away Friday, January 11, 2019. Services are set for 11AM Tuesday, January 15 in the Chapel of Trevino-Smith Funeral Home. Rev. Ray Marshall will officiate and burial to follow in the Reliance Cemetery. Visitation will be from 6-8PM Monday, January 14 also in the Funeral Home. Born December 1, 1933 in Newcastle, Oklahoma she was the daughter of Ruben Joshua and Iva Mae (McIntosh) Wilson. Mary Lou liked to knit and crochet in her spare time. She loved to travel with her husband Joe in their 5th wheel. She was a loving mother; grandmother; sister and friend and will be missed by all who knew her. She is preceded in death by her parents; her husband of 64 ½ years, Joe D. Trowbridge; five sisters, Rita Jones, Loretta McMillon, Louise Arrington, Ruth Statton, and Wanda Hanson; and one sister-in-law, Susan Wilson. Mary Lou leaves behind to cherish her memories, one son, Richard and wife Rita Trowbridge; three daughters, Christy Noey, Gwen and husband Roy Matthews, and Cindy and husband Kent Oldham; one brother, C.D. Wilson; and twelve grandchildren, twenty-six great-grandchildren, and three great-great-grandchildren.